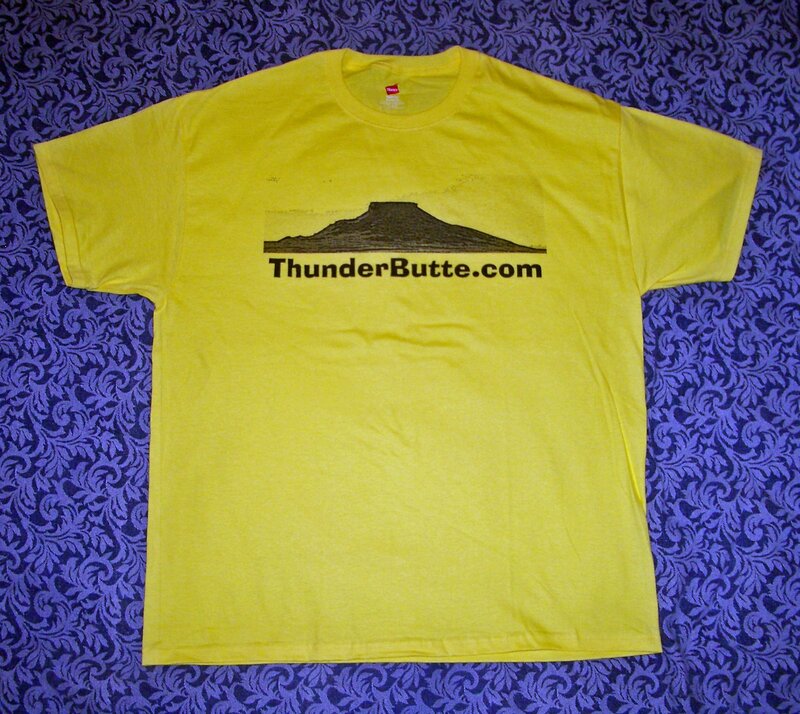 Well, perhaps not in time for the holidays – I'm not the most mercantile of capitalists and I've neglected to put in a plug for my own Thunder Butte t-shirts and other products. In fact, I've neglected to shill for business for the last two years, which tells you that I'm not a very successful businessman. But, seriously folks, I'm not looking to make any money from this. Originally, I just was looking to design a t-shirt for myself. 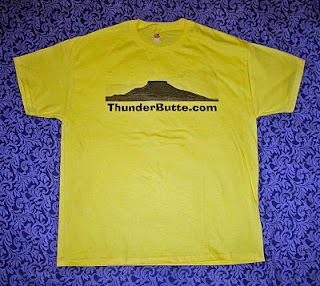 Now, I want to afford the opportunity to anyone else who would like a Thunder Butte t-shirt or other merchandise to take a look – and if you like what you see – place an order. You can do that by clicking here, which will take you to my friendly little shop at Zazzle.com. Just in time for Christmas, here's a noteworthy new product for those who own or are thinking of getting an Apple Ipad. Bygone Days is an Ipad app that contains hundreds of photos from the Old West, old newsreels documenting South Dakota's history, and other information. It aims to provide a rich photographic experience of what life was like through "the eyes, artifacts, and spirit of those who lived it." And, for fans of Babe Mansbridge, who we talked about here, the poster of bronc-busting Babe appears on page 52. Note to my readers -- I do not have an Ipad yet, but this app surely will be one of the first that I buy. You can get Bygone Days by downloading it here at the Apple Itunes store. In addition to the above, I discovered the following line of products in South Dakota magazine's recent issue. Tower Stool produces an entire line of really unique folding step stools, tables, and benches. For more information, visit their website or call 800-568-4288. Editor's Note--I do not offer specific product endorsements in this blog other than for things that I might occasionally sell myself, and I receive nothing in return for mentioning these products. These are merely products that seem noteworthy to me, and ones that I would like to buy, myself.